One thing that always amazes us is the ingenuity displayed by prison inmates, as demonstrated in the tools and weapons they create while under the watchful eye of the law. Unlike most people however, these individuals have nothing but time on their side, which lends to the wide range of implements they inevitably dream up. [Marc Steinmetz] took some time to photograph a handful of contraband items which were confiscated in various prisons. They range from the relatively benign bed sheet ladder to more sophisticated items such as battery-powered shotguns constructed from iron bedposts. 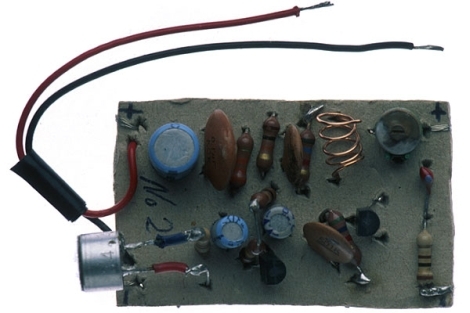 While weaponry and escape aids are the most common prison yard creations, he also came across a DIY toaster, a hidden radio receiver, and one of our favorites – the surveillance bug pictured above, which was used to listen in on guards’ conversations. While the use of any of these items in a controlled prison environment is questionable at best, it’s still interesting to see what people can hack together with limited resources and a heck of a lot of time. Not to be outdone, Popular Science published their Best of What’s New 2008 and packed it with videos and photo galleries. Inspiring inventions include the Pipistrel Taurus Electro, the longest-flying two-seated electric plane, the Intel Core 2 Duo Small Form Factor, which you can thank for the thinner laptops like Apple’s MacBook Air, and the GroundBot, a spherical robot that can roll through the mud, sand, and snow. It’s not even the end of the year yet, but with all these great inventions, we can’t wait to see what’s in store for 2009. And now, for your amusement, we present to you a navigation system from the 1920s. 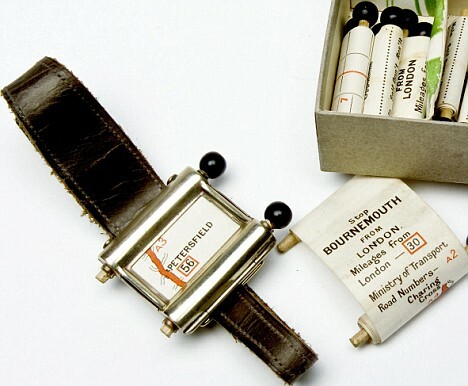 It’s not so much a satellite navigation system as it is a tiny map mounted in a wristwatch, but for the available technology of the era, this was a pretty ingenious invention, Other (and somewhat more bizarre) entries on this list of over a dozen other inventions from the early part of the 20th century include a finger stretcher, an eyeball massager, and mustache guards. Although most of these inventions seem laughable today, they are an interesting study in finding creative solutions to real problems. After all, what these inventors did a hundred years ago with gears and paper is pretty much what we do today with transistors and LEDs.